Occupational Therapy is offered through the Beatrice Community Hospital and Health Center Rehabilitation Services Department. Occupational Therapy is a health and rehabilitation profession designed to help people, who because of physical, developmental, social or emotional deficits, need specialized assistance in learning skills that enable them to lead independent, productive and satisfying lives. The department serves patients in swing bed, outpatient, home health and long term care settings. Activities of Daily Living (ADLs) Skills that individuals need to optimally participate in life: self care skills, homemaking tasks, employment issues, mobility and balance, leisure and play, driving skills, home safety and accessibility. Hand and Upper Extremity Therapy Areas include range of motion, strength, coordination and sensation of the hand and arm. Pain, edema and scar management are addressed. Hand and arm splints may be fabricated when needed. Functional use of the hand is the ultimate goal. Visual and Perceptional Skills Specific tests help assess how patients utilize their vision. The BCH department is one of three facilities in Nebraska to utilize a Dynavision, which can assist patients to learn to use their vision to the fullest potential. Cognitive Skills Assessment and development of strategies to address memory, problem solving and sequencing; all needed to participate in life activities. Pediatrics to Geriatrics Age appropriate assessments, treatment plans and equipment are utilized when working with the wide range of ages served. Aquatic Therapy We are pleased to offer therapy through this modality since Spring 2004. A pool is now available in the new hospital and aquatic therapy can be offered onsite. Patient Education A variety of means and techniques are used. Patient and family involvement and education are essential to optimize the patient's potential. Emily Foland earned her Bachelor of Rehabilitation Studies in May 2016 and her Master of Occupational Therapy Degree in May 2017 from College of Saint Mary, Omaha. She completed clinical rotations at Children's Rehab Center in Grand Island and Mid America Rehabilitation Hospital in Overland Park, Kansas. She began working at Beatrice Community Hospital and Health Center after graduation. 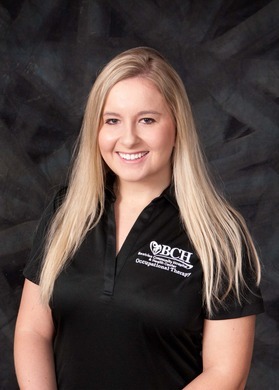 While Emily enjoys working with patients of all ages, she has a special interest in the pediatric population. A Doniphan native, Emily now lives in Lincoln with her husband, Cory. They enjoy spending time outdoors and being with friends and family. 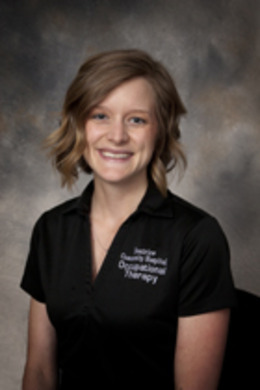 Brooke Jensen earned her Doctorate of Occupational Therapy Degree in December 2013 from Creighton University, Omaha. She began working at Beatrice Community Hospital and Health Center in May 2015. Brooke has a special interest in helping children with sensory processing disorder and autism. She is trained in Sequential Oral Sensory Approach to Feeding (SOS). Brooke and her husband, Josh, live near Pickrell with their son. She enjoys an active lifestyle and is a fan of Kansas City Royals baseball. 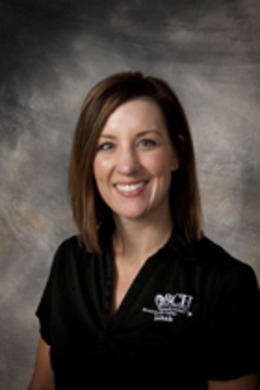 Nicole Jones earned her Bachelor of Science Degree in Exercise Science from Nebraska Wesleyan University in 2004 and her Master’s of Occupational Therapy Degree from Rockhurst University in Kansas City, Missouri, in 2006. 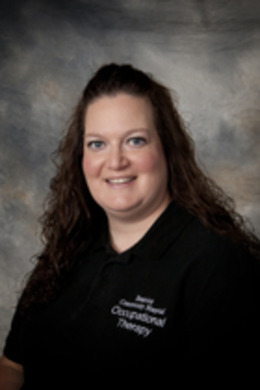 She began working at Beatrice Community Hospital and Health Center in July 2008. Nicole has a special interest in geriatrics and orthopedics including: fall prevention, home modifications, and Kinesio Taping. She also specializes in wheelchair positioning and provides clinics for residents at Mosaic and Region V.
Nicole grew up in Grand Island. She enjoys gardening, playing volleyball and golf, and traveling. She lives in Beatrice with her husband, Grant, and two daughters. Emily Zarybnicky earned her Bachelor of Rehabilitation Studies Degree n May 2014 and Master of Occupational Therapy Degree in May 2015 from College of Saint Mary, Omaha. After graduation she spent two years working as a school-based therapist. She began working at Beatrice Community Hospital and Health Center in June 2017. 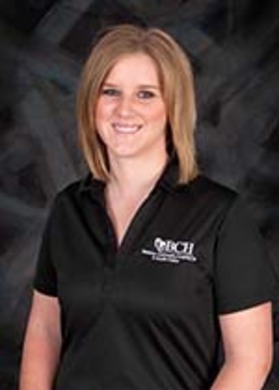 Emily enjoys working with patients of all ages, including Home Health, Acute Care / Swing Bed, and outpatient. Emily grew up in Beatrice and returned to be able to be close to family. Emily completed a job shadow and Level l and Level ll Clinical Rotations at Beatrice Community Hospital and Health Center. Emily enjoys spending time with family and friends, and watching Husker Football. Shelly Barton earned her Associate of Applied Science Degree from Clarkson College, Omaha, in 1998. She started working at Beatrice Community Hospital and Health Center in December 1998. She enjoys working with the geriatric population, including Home Health, Acute Care/Swing Bed and all ages of outpatients. She completed the Kinesio Taping course in 2012. Shelly grew up on a farm near Hebron and now resides near Fairbury. Shelly and her husband, Ryan, have one son. Shelly enjoys the outdoors, country living, and spending time with family and friends.